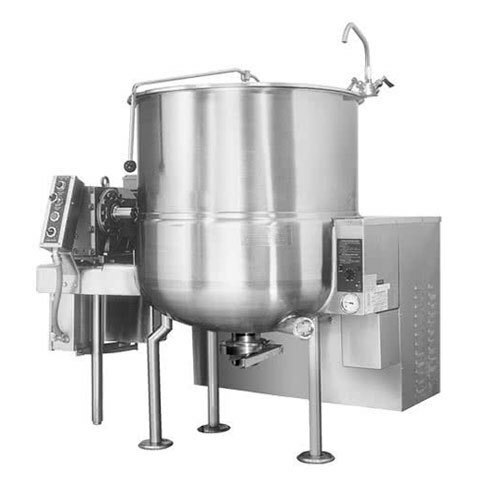 A jacketed Mixer is a container that is designed for controlling the temperature of its contents, by using a cooling or heating "jacket" around the mixer through which a cooling or heating fluid is circulated. A jacket is a cavity external to the mixer that permits the uniform exchange of heat between the fluid circulating in it and the walls of the Mixer. We design the several types of jackets according to product requirement and compatibility. Jackets can be applied to the entire surface of a mixer or just a portion of it. For a vertical mixing vessel, the top head is typically left unjacketed. Jackets can be divided into zones, to divide the flow of the heating or cooling medium. Easy to clean in either dry or wet way.